The Gawky Giraffe is a sweet story that shows kids the importance of forgiveness. When Gertie is ostracized because of her looks, she returns to her mother brokenhearted. Her mother provides wisdom for Gertie to handle the painful situation but she doesn’t do the work for her. When the opportunity presents itself, Gertie is faced with revenge or forgiveness to those who hurt her deeply. 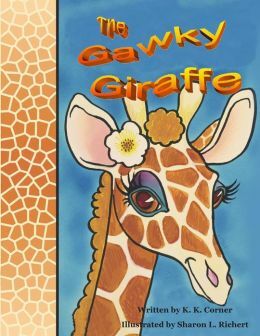 The Gawky Giraffe is a great book for both children and adults and shows what forgiveness looks like when it’s walked out and not just talked about. I would highly recommend this book.